It's that time again... BOOOOOOOOOOOOKKKKKSSSSS!!! 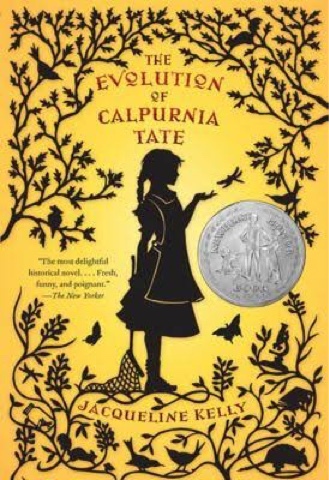 This week's book is The Evolution of Calpurnia Tate by Jacqueline Kelly. Abou the book: The evolution of Calpurnia Tate is a book about 12- year old Calpurnia who lives in Texas in the year 1899. Calpurnia's mum want's to make her a woman, who helps in the kitchen and who does a lot of hand-crafts. But Calpurnia wants to be a biologist. She is very interested in nature. Calpurnia then slowly gets to know her grandfather better, whilst they explore the eild outdoors. So basically the book is about life in the year 1899! Rate: I really love this book so it gets a 5/5!